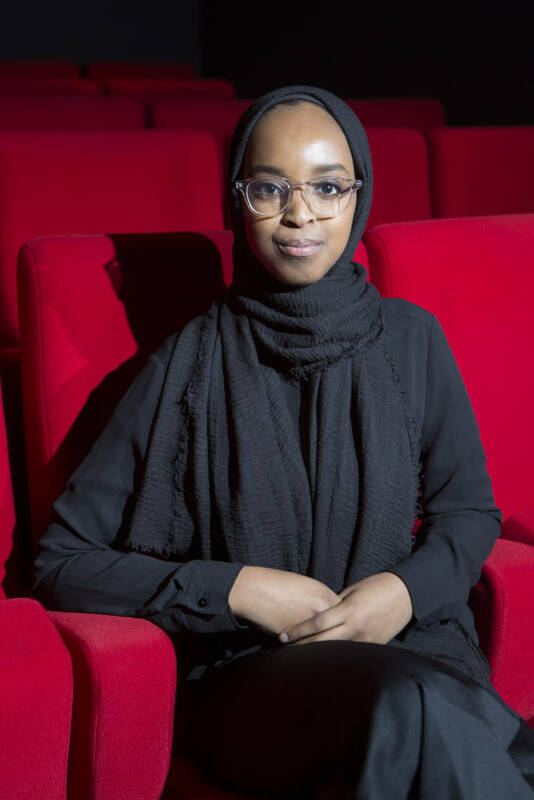 Growing up, Chapter Arts Centre’s Anim18 Project Coordinator (and our FEDS trainee) Umulkhayr Mohamed thought that a career in film wouldn’t be a possibility for her. Ahead of our upcoming I.D. (Inclusion & Diversity) Screening Day, read her thoughts on what we should be doing to try and finally overcome this. A career in film specifically and the arts more generally was something that for much of my life I thought wasn’t within reach for me. So naturally becoming a FEDS trainee and so much of what this experience has shown me, was not something I thought I would be sharing with you today. I feel like it all came full circle, when I attended the ICO’s Summer Screening Days in Leicester, and watched among other films, a film set in 1970s United States of America that frankly hit a little too close for home. It made me realise that working in this industry coming from a background like mine has meant I’ve had to think about my race and class in ways I haven’t had to since when I realised these parts of my identity had been othered by society in the first place. For the most part, I have tended to avoid vocalising the many reasons for the disenfranchisement that led me to rethink a career in this industry, which I am very glad to say I have overcome. I choose not to speak out, mainly due to the fact that I resent that as someone who has had many aspects of my identity politicised by society I feel I am expected to lead on addressing these issues often without being compensated to do so, taking away yet more of my time and energy, in addition to the many systematic barriers that I already have to navigate in my personal and professional life. I should start by explaining why I think that ‘diversity initiatives’ can so often end being part of the problem if not done correctly, and why and how this conversation needs to be decolonised. I believe that in many cases diversity is preoccupied with the aesthetics of the issue, and therefore as a result can only offer surface level changes such as investing to make sure that entry-level positions are made accessible to people from diverse backgrounds without equally investing in addressing the lack of representation of these same minority groups at board level, where the decision-making power is held. Decolonisation, on the other hand, focuses on unlearning the mentality that causes that inequality to persist in the first place. Although the term ‘decolonising’ is used to refer to the unlearning of racial biases that people hold, in the context of this conversation I would like to broaden the definition. Mainly to acknowledge the reality that for a lot of people they aren’t just marginalised because of one aspect of their identity or background, meaning that inclusion initiatives need to take a holistic approach if they are to stand a chance at effecting real change. Three months into my placement it was Chapter Art Centre’s turn to host the monthly FEDS industry session, where we had a really interesting conversation about the ‘invisible barriers’ that stop people from even entering an arts centre. One type of barrier we identified was practical in nature – these are currently where I feel we are focusing our energy on as an industry. And it is understandable to a certain degree as these are easier to overcome, despite still needing significant investment and commitment to do so. For example, Chapter Cinema has been doing really important work with their Dementia Friendly screenings, by making it affordable for individuals with dementia and their carers, as well as for them to feel safe and taken care of when attending the cinema, something that they would otherwise not feel comfortable enough to attempt. As a part of the Film Hub Wales team at Chapter, I have also been lucky enough to attend the Hub’s annual Rural Cinemas Event, that brings together film exhibitors based in rural communities to share learning as well as challenges they are facing. One of the exhibitors shared a model that they referred to as a ‘youth inventory’, in which young people were invited to attend a cinema screening and note all the ways that they felt uncomfortable or unwelcomed. I would be interested to see this model replicated with other marginalised groups as I think therein lies the distinction between tokenistic and authentic exclusion interventions. Often not enough value is placed in the practice of unlearning in the pursuit of growth and innovation. It is easier than it sounds: just ask yourself what is it that you have to unlearn to help you remove the distance between yourself and the communities you seek to serve, and be open to the answers no matter how they make you feel about yourself. While I was attending Sheffield Doc/Fest this year as a part of my traineeship, and I was drawn to attending a panel discussion entitled ‘Not Another Diversity Panel’. I left the panel having realised just how so often conversations of exclusion exclude any reference to why we find ourselves in this situation in the first place. If your organisation’s audience demographic is not representative of the diverse communities that live close by, those communities aren’t ‘hard to reach’ – you’re inaccessible. So often I witness conversations on the topic of ‘diversity’ that put the onus of inclusion on those who are systematically excluded from engaging with the arts, and then we wonder why we still have to have these conversations. There is of course an argument that the reason for this lack of focus on what could be called the historical context of inequality is that it is more useful to be ‘solution orientated’. Although I do believe this is somewhat true, I think the more significant yet less discussed reason is that it would make the privileged majority uncomfortable to have to confront the way that they have advantages through no merit of their own. 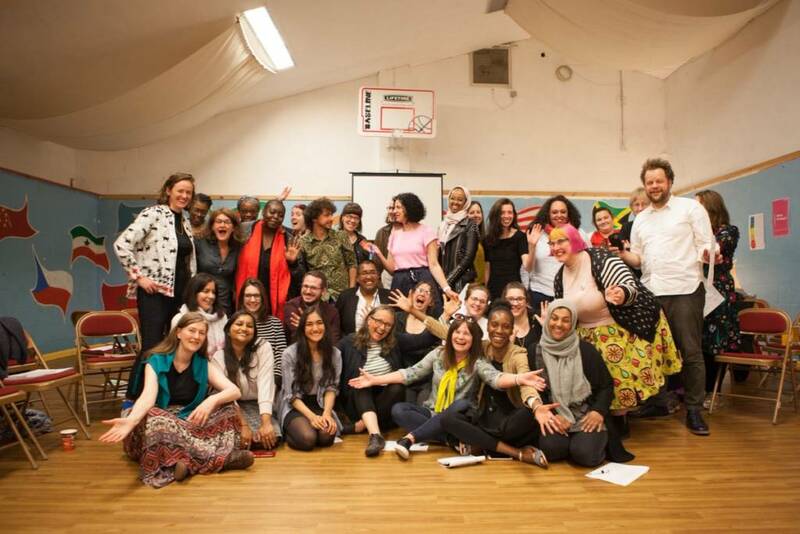 Although I have yet to find a film specific example of this work being done yet, I would like to highlight the work that Gentle/Radical (a grassroots arts organisation based in Cardiff) are doing around creating room for conversations around decolonising the arts sector in Wales, while also being forward looking through their Imagination Forums. During one of these forums a speaker from Museum Detox introduced how they had adapted and used the White Privilege test, to highlight how the experiences of people of colour are invalidated on a societal level, and how this in turn has alienated them from being able to engage with arts and cultural institutions. This was an eye-opening exercise not only for the white attendees who were made to think of all the things they take for granted or hadn’t even thought about before, but also for me as someone who had normalised these microaggressions so much I had almost forgotten that this wasn’t the way everyone experienced the world. As much as this realisation wasn’t a pleasant one, it was ultimately empowering as I now had this tool to articulate very specific examples of white privilege in relation to cultural representation. This is my first real attempt to share some of my thoughts on how the legacy of past oppression continues to have a damaging effect on audiences and arts professionals alike, and what we should be doing to try and finally overcome this. Despite all of the issues that I have highlighted here, I would like to share that it is not by mistake that film exhibition is where I have been able to start my professional life. I still believe that film is significantly more accessible than other art forms and therefore has real potential to be used as a door into wider engagement with the arts for all the reasons we should strive for this; to help us understand ourselves, to develop and exercise empathy, simply for the beauty of it! Registration is now open for our I.D. 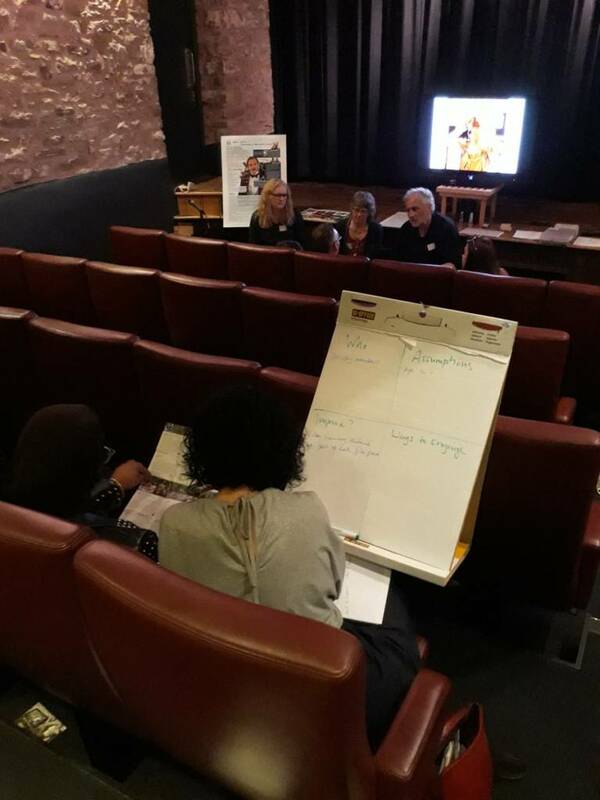 Screening Day – a day full of film screenings, panel discussions and case studies all helping to make your cinema a more welcoming space for everyone in your community.